The framework of the deal, which is expected to involve two low-level Minor Leaguers in addition to the three aforementioned players, has been agreed to, sources told MLB.com's Greg Johns and MLB Network insider Ken Rosenthal. The news comes one day after Mariners general manager Jerry Dipoto said the team feels "a little short in the outfield, particularly center field," calling it " an area we need to address ." He figures to fit into a similar role with the Rays, at least with their current roster construction, with Tommy Pham in left, Kevin Kiermaier in center and Austin Meadows being groomed for right. 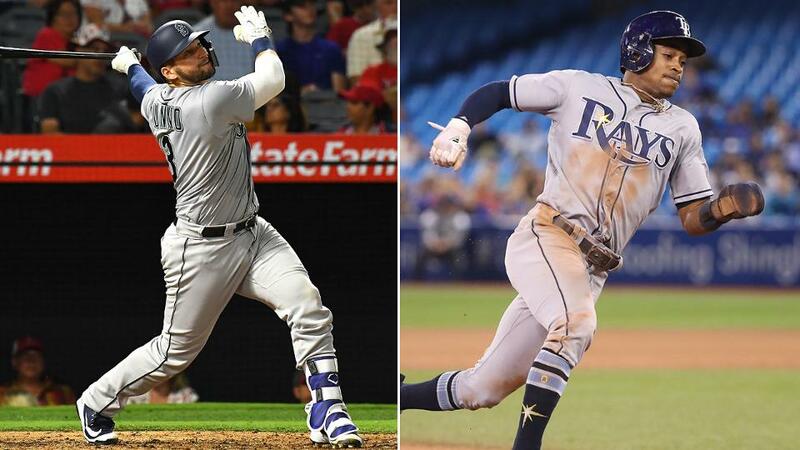 The most recent deal between the two was last May 25, when the Rays sent closer Alex Colome and veteran outfielder Denard Span to Seattle for Minor League right-hander Tommy Romero and righty Andrew Moore.